We source and inventory only the best quality poultry items. We offer traditional, natural and sustainable options. Are you looking to diversify your menu? Consider a feature on chicken, turkey, duck or a spin from traditional and add specialty game birds. We can help you break away from the “what’s expected” to the new and cutting edge in culinary expressions. 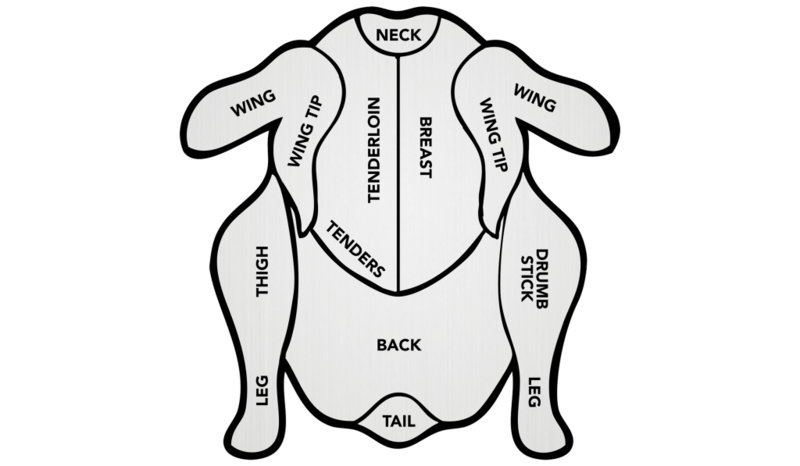 Click for the Chicken Basics Cut Chart.